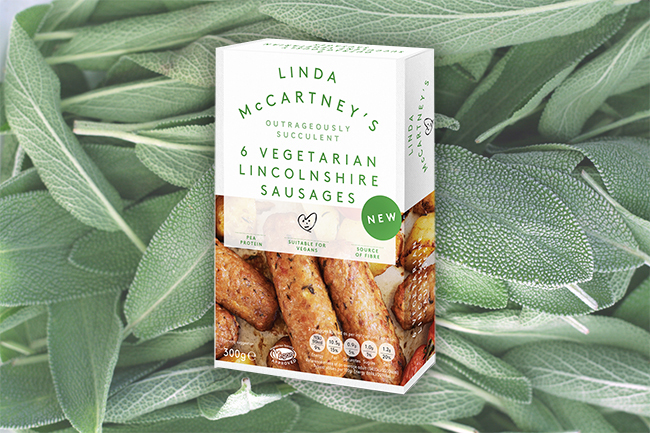 Linda McCartney’s has announced the addition of a brand new vegan product to its range – Lincolnshire sausages. Vegetarian food pioneers Linda McCartney’s, who offer a wide range of vegan-friendly products, has announced the addition of a brand new vegan product to its range – Lincolnshire sausages. The soy-free sausages are made using pea protein, a first for the company, and are jam-packed full of plant-based protein goodness and oozing with aromatic sage and onion. From Sunday morning fry ups to weeknight bangers and mash, Linda McCartney’s Vegetarian Lincolnshire Sausages are quick and easy to cook from frozen in less than 15 minutes. They’d also make a delicious addition to your BBQ this summer. Image may not be used without permission.